Hey Mr. Play-It-Safe, are you sure you want to part with your hard-earned cash on a pickup-based SUV? Do you really want to drive around in a lumbering 7-seater when you only have one kid and you don’t like your father-in-law anyway? Well, Subaru says it’s about time you stop pretending that you’re a resident of Pleasantville. It’s time to get real and opt instead for the newest Subaru Forester. Isn’t the Forester a sissy compact crossover and isn’t it expensive? Well, if we could just reach out from your computer or phone screen and slap you in the face, we would. Motor Image Pilipinas, the distributor of Subaru vehicles in the country just released the prices of the all-new 2019 Forester and they’re a STEAL. Yes, they’re priced it to the point that they’re practically being given away. There are three variants and they start at just P 1,598,000 and top out at P 1,798,000. Plus, they’re actually loaded with features. Automatic LED headlights? Check. Rain-sensing wipers? Check. Push-button start/stop? Check. Cruise control? Check. Dual climate control with rear vents? Check. And that’s just for the base model. Go up to the EyeSight models and they all come with chockful of safety features; so much so that a Fortuner will choke on them twice over. Worried about floods? It can go through 500 millimeters of water. 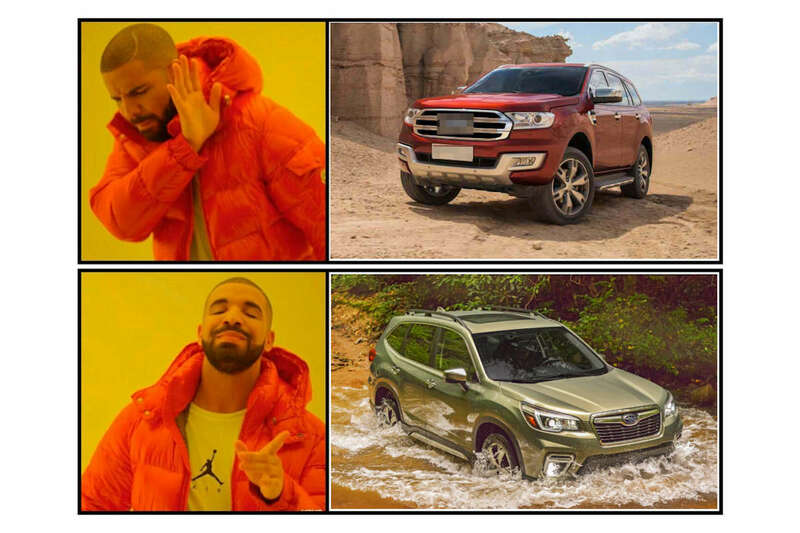 Worried about going through rough terrains? It’s got full-time all-wheel drive and a generous approach, breakover, and departure angles. It can take on the rough stuff, baby. Well, Motor Image Pilipinas realizes they have to work on this and they’re making strides in this department. 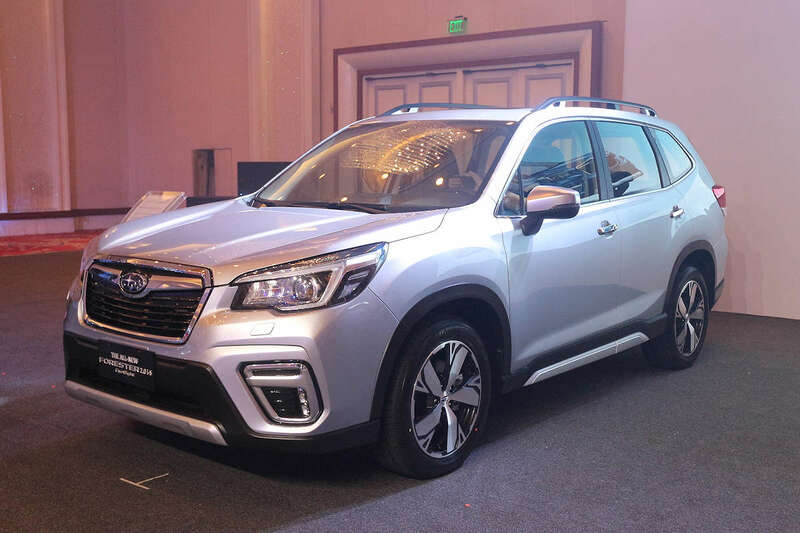 Realizing that Forester owners are “conquest customers”—or customers who were convinced to switch over to a Subaru for the first time, they had to make sure that the ownership experience is as painless as possible. The company has already introduced a quick service system called Subaru Express to cut down waiting time for PMS jobs. It’s something they’ve seen work well in the U.S. and they’ve worked to replicate the set-up here as well. They’ve just announced a regional partnership with lubricants specialist Motul. Throughout Motor Image’s 9 countries, Motul will be supplying a bespoke-blended 100 percent synthetic engine oil that’s designed for our tropical climate. 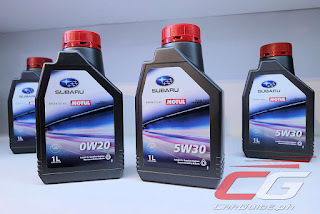 Developed in Japan, the 0W-20 and 5W-30 engine oils are designed specially to meet the requirements of Subaru’s Boxer engine layout. It will enhance fuel efficiency and protect engines from premature wear despite the heavy traffic conditions. The best news is vehicles that use this Subaru Engine Oil by Motul exclusively are entitled to a 5-year powertrain warranty—one of the longest in the industry. Will this oil be expensive? It’ll be competitive they said. It’ll definitely be cheaper than buying Motul oils off the shelf. Oh, and they’re also expanding this partnership with transmission fluids (including CVT) and other lubricants soon. When it comes to spare parts, Motor Image Pilipinas is working closely with Subaru Corporation to bring the cost of ownership down. They’re working with their counterparts there to make “fast moving parts” (maintenance and wear-and-tear parts) cheaper and more affordable, while “slow moving parts” taking the brunt of the price increase. Therefore, so as long as you’re a safe driver (or covered by comprehensive insurance), you’re in for cheaper PMS and repair bills. Oh, and they’re also expanding their dealer footprint to a total of 34 locations in the next two years. 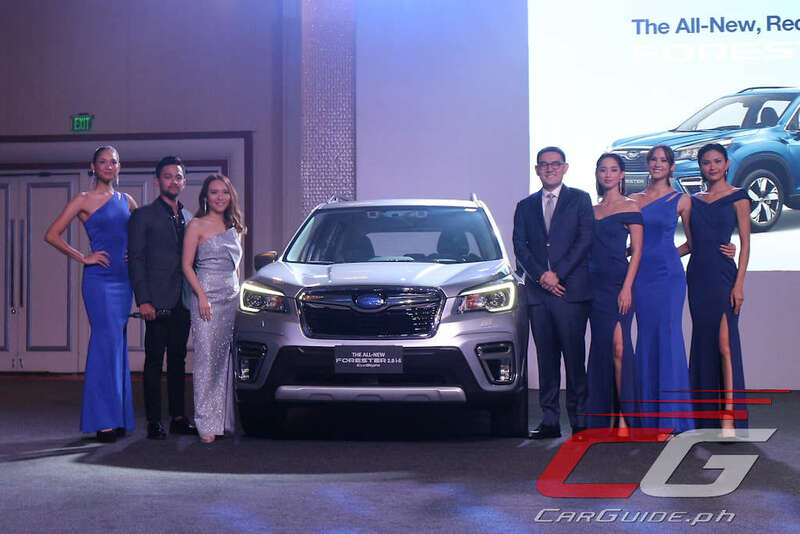 This means that Subaru customers from all corners of the Philippines will have a dealership nearby to service their needs. Just make the pricings of your bushings reasonable and we have a deal, Motor Image. Also, extend the warranty of your CVTs so we don't have to fork in 300k when we turn them over for repair when it has broken outside of the warranty..
Those come under the slow moving parts " that will bear the brunt of price increases" what a funny way to say, were still screwing you. Bushings, pads and compressors are too expensive. Forked out P30k just to have bushings and pads fixed for the Forester after 40,000km. Not to mention that engine detail costs 2,900 because regular wash isn't available. Other than that, quite good after 55k kms. Gasoline engine, five seats and CVT. You're not going to get very far if you plan on taking on the SUV market here.